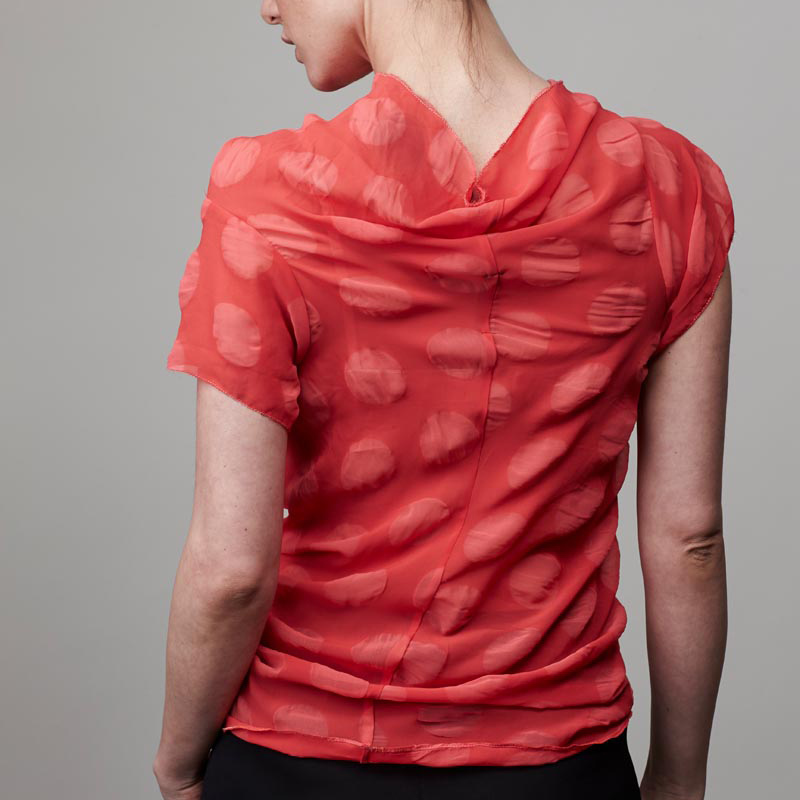 Effortless styling in this short-sleeved top includes scoop neck, front rosebud knot, and back seam. Persimmon. Semi-sheer polyester chiffon.